Seattle, Washington, January 1, 2013 - The JOBS Act passed more than eight months ago, but it is just beginning to make its mark on the fundraising landscape. A new door has opened: online funding platforms that allow startups to connect with investors and raise funds online. While companies like Kickstarter and IndieGoGo have been helping people raise money online for awhile, the new wave of funding platforms are different. Namely, when you invest using these new platforms, you receive equity in the company. That's right, a piece of the pie. 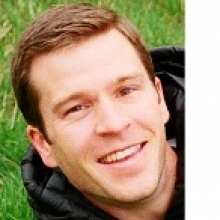 At the forefront is Infused Ventures, a Seattle-based online funding platform. Infused Ventures offers simplicity to a traditionally complex process, and helps reduce the typical hassles that leave most startups up to their necks in legal fees. Founded in 2012 by three attorneys, Infused Ventures offers pitch-building tools and legal documents that make the fundraising process easy for both startups and investors. The platform has partnered with a variety of industry professionals to assist its entrepreneurs grow and its investors connect with the right companies. With all the recent chatter about the JOBS Act and crowdfunding, I wanted to offer you an exclusive on the launch of our new Seattle-based online funding company, Infused Ventures. Infused Ventures is an online funding platform that connects startups and entrepreneurs with investors--its basically a variation of crowdfunding, limited only to accredited investors, a sort of social network for raising funds and investing online. If you're interested, I'd love to give you more details. Let's grab coffee next week? We wanted to reach out to you to offer you an exclusive of the launch of our new startup, Infused Ventures. Infused Ventures is an online funding platform that offers startups the ability to raise capital from accredited investors online. As a result of the JOBS Act, companies can raise funds from investors through online platforms. While crowdfunding (Title III) has been the "hot topic" surrounding the JOBS Act, we believe it is Title II that people should be aware of. We're focusing our efforts on the Pacific Northwest, and we'd like to offer you an exclusive on our launch. Are you available for a call tomorrow to discuss further details about our company and the impact of Title II of the JOBS Act? Our communication plan is geared towards spreading the word about Infused Ventures and its early 2013 launch. The problem is that there are a ton of startups who are looking to raise money but do not have the resources, networks, or money necessary to raise funds. Due to the JOBS Act, companies can now raise capital via private placements online. Most of the public opinion surrounding the JOBS Act has been in response to crowdfunding. Our platform offers crowdfunding for accredite investors, and our communications with the public need to distinguish this distinction. Many believe that SEC regulations will hamper the ability of online platforms to offer reliable, compliant options for entrepreneurs and investors. Our platform offers a simple and reliable way for entrepreneurs to raise capital and investors to invest in quality startups--its like a social network where entrepreneurs and investors can connect. Our funding platform is different; its simple to use and offers a reliable way to raise funds online. Our funding platform was developed by three attorneys who are well-versed in securities regulation and private placements in general. Our funding platform offers high quality venturers and a wide-range of accredited investors. Get Press in Pacific Northwest News, Business Journal, and Tech forums. Connect with strategic partners, such as startup incubator, angel network, etc. Develop Infused Ventures blog to boost SEO and promote ourselves as "experts"
Once your PR plan is completed, evaluate whether your objectives have been met. If not, determine why. Add these to the measurement section and make it part of your completed PR plan for historical reference.